We have a mailing list and send out reminders and updates about our programme. If you wish to join the mailing list please visit the "Contacting us" page for information and a link to our privacy statement. 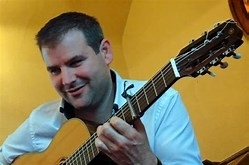 Sun 19 May: Tim Edey: Totally engaging and a phenonenal guitarist. For full details and the complete list of events please see the calendar below. 10 May 19 Harry Browns CD release "One More Day"
Fri 10 May 8pm at the Moorend Spout, Nailsea. 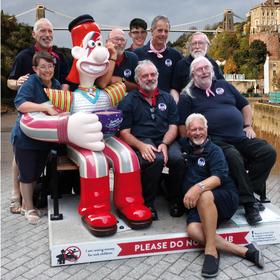 The Harry Browns for Bristol have been singing shanties and songs of the sea for over thirty years at festivals up and down the land and across Europe. Renown for their sense of fun and mischief and their great voices and harmonies they love to bring stories and traditions of the sea to life. Such is their notoriety they recently appeared on BBC’s Flog It where the whole group were sold as antique relics for just 50 pence! One More Day is their latest CD. It is a collection of mainly traditional shanties sung with gusto and the occasional accompaniment of fiddle and guitar. The last time the Harries sung at the Moorend Spout was to launch their previous CD with their close friend Fred Wedlock providing support. Fred sadly died in 2010. The evening is in aid of Nailsea Memory Café, supporting people with dementia and their carers. Like most people, members of the Harry Browns have been affected by close relatives who have had dementia. 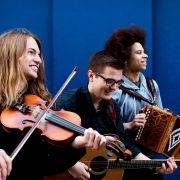 The Tannahill Weavers are a band which performs traditional Scottish music. Releasing their first album in 1976, they became notable for being one of the first popular bands to incorporate the sound of the Great Highland Bagpipe in an ensemble setting, and in doing so helped to change the sound of Scottish traditional music. In 2011 the band were inducted into the Scottish Traditional Music Hall of Fame. The band was formed in 1968 and practiced in a back room of the McKay family's rented council house at 41 St. Ninian's Road, Hunterhill, Paisley. The band first performed at St. Peter's Folk Club, Glenburn, Paisley which was run by Pat Doherty, father of Weavers' founding member Neil Doherty. They are named after Scottish poet Robert Tannahill, known as the 'Weaver Poet,' and have recorded several of his songs. 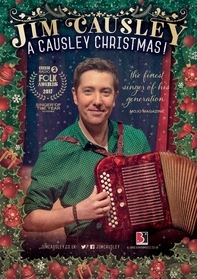 Join Jim in celebrating the Christmas season as he entertains you with lesser known West Country carols, medieval and secular carols from around the British Isles, his own settings of moving Christmas poems by his relative, the late Cornish poet Charles Causley as well a gurt dollop of festive fun with songs of over-indulgence and even a spot of panto too! If you are feeling a little dismayed with the over-commercialisation of “Christmas present” then join Jim for a journey through Christmas past that will be guaranteed to get you in the festive spirit! Folk award winner, a lovely man and a great singer.